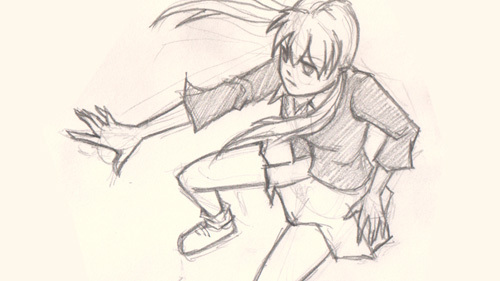 Draw Manga action pose top down perspective. How to draw Manga top down perspective action pose. Learn how to draw Manga, Anime, and comics. If you are trying to draw dynamic post from top down perspective for your character, sometimes it can be really difficult to figure out where or how to start. This tutorial will help you learn how to get your character drawn from top down angle. We usually begin with gesture lines or easy geometric shapes to construct the figure. Drawing and sketching Manga anime technique for manga, cartoon and comics. Learn to draw with tips from a professional concept artist and illustrator. 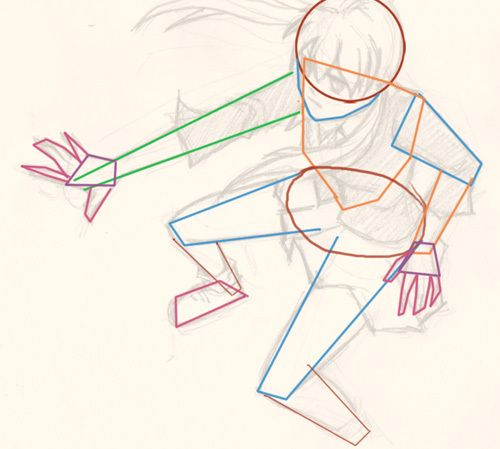 Below is easy to follow construction simple drawing break down for Manga body in perspective and action pose. This is a instruction to go along with the video tutorial. Below are step by step how to to follow along with the drawing video lesson.